The V20 is an amazing phone from LG powered by Android. Packing impressive features such as a removable battery, expandable storage, and the latest Android version straight out of the box, the V20 is a tough phone to beat. 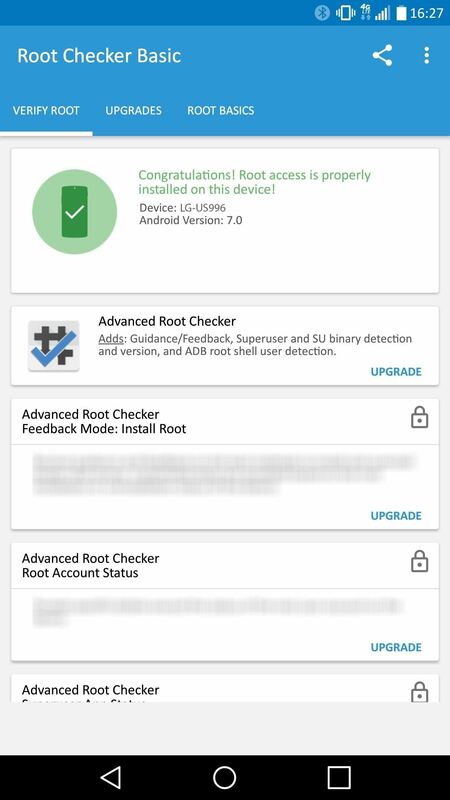 There is one thing that would make the phone even better—root privileges and Superuser status. It's the only way to take full advantage of the other features, like the Quad 32-bit DAC, while getting rid of bloatware at the same time! We will have to wipe the LG V20 storage in order to successfully root it, so be sure to back up your phone before proceeding. Installing ADB and Fastboot is a crucial step when it comes to rooting your LG V20. 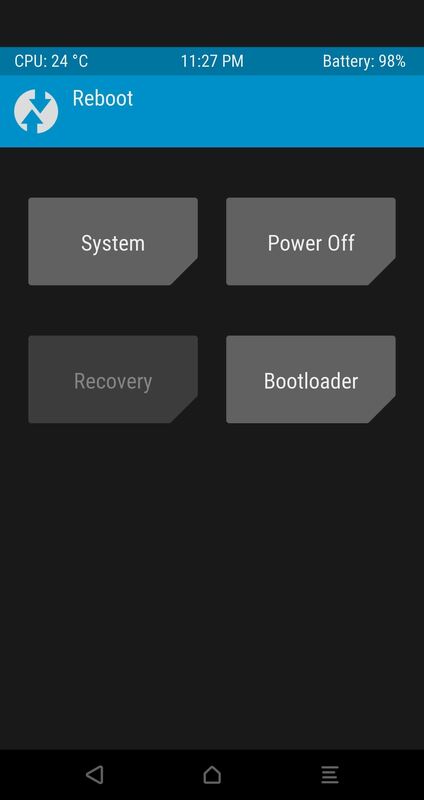 We'll be using ADB to reboot into bootloader mode, then Fastboot to flash a custom TWRP image. If you've made it this far, that means you've already unlocked your bootloader as per the "Requirements" section. Since that process wiped your data and settings, make sure to activate Developer options and re-enable USB debugging before proceeding. After it's full downloaded, type the following into the prompt to flash TWRP on your device. 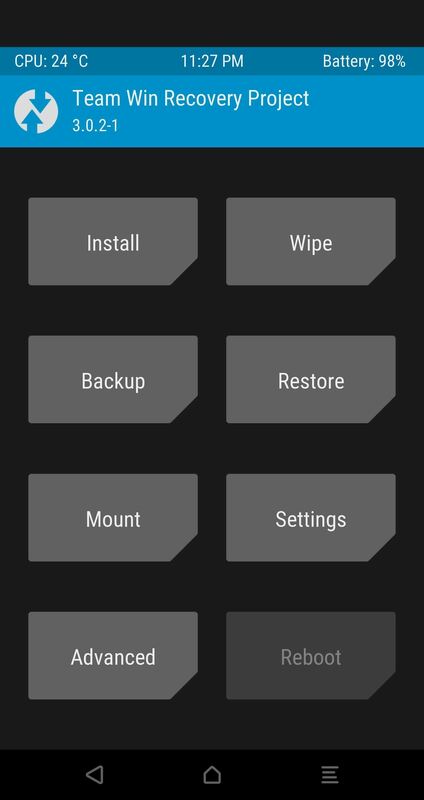 If the file is not in your platform-tools folder, be sure to type out the full file location for the TWRP IMG (example: fastboot flash recovery C:\Downloads\twrp-3.0.2.1-us996.img). Alternatively, you can click on the IMG and drag it onto the command prompt/terminal/command line window, then hit enter, and Fastboot will flash TWRP to your device. Launching TWRP at this stage can be a bit tricky, so be sure to read through this step fully before starting. Open the back casing and pull out the battery, then put the battery back in and close the casing. Next, press and hold the power button and the volume down button until the LG logo appears. Release the power button for approximately one second, then press and hold it again—release both buttons when the TWRP screen appears. This is when we will wipe the device storage and factory reset, so be sure to back up your data if you used your phone after unlocking the bootloader. When TWRP launches, it will ask you if you want to allow system modifications. We do, otherwise TWRP will need to be reinstalled every time we want to use it. So go ahead and swipe right on that. Next, we'll want to decrypt the V20's storage by wiping the device. Tap on the "Wipe" tab, then touch the "Format Data" option. Type in "yes" and tap the little check mark on your keyboard. 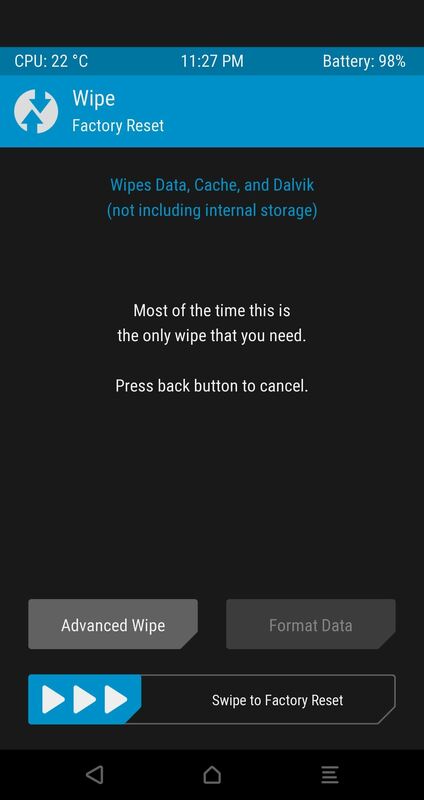 After using the "Format Data" setting, TWRP will state you might need to reboot TWRP in order to gain access to your data partition, so that's exactly what we're going to do. We're going to reboot to TWRP from TWRP. 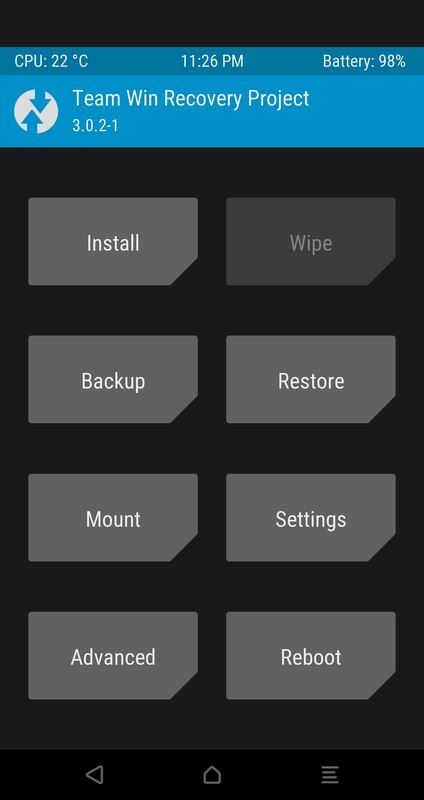 Go back to the TWRP main screen, open the "Reboot" tab, then select "Reboot Recovery." Next, you'll need to flash SuperSU on your phone to permanently root the device. So when TWRP finishes rebooting, tap the "Advanced" tab, touch "ADB Sideload," then swipe the slider to start things up. After that, download the SuperSU ZIP from your computer using the following link, then go back to command prompt/terminal/command line. Type in the following, remembering to use the exact download path to the SuperSU ZIP, or to drag and drop the ZIP like we did with the TWRP IMG earlier. Hit enter and wait for TWRP to flash the SuperSU ZIP. Reboot your phone once TWRP finishes installing SuperSU, and you should be fully rooted when you get back up. To verify this, download an app called Root Checker by developer joeykrim. 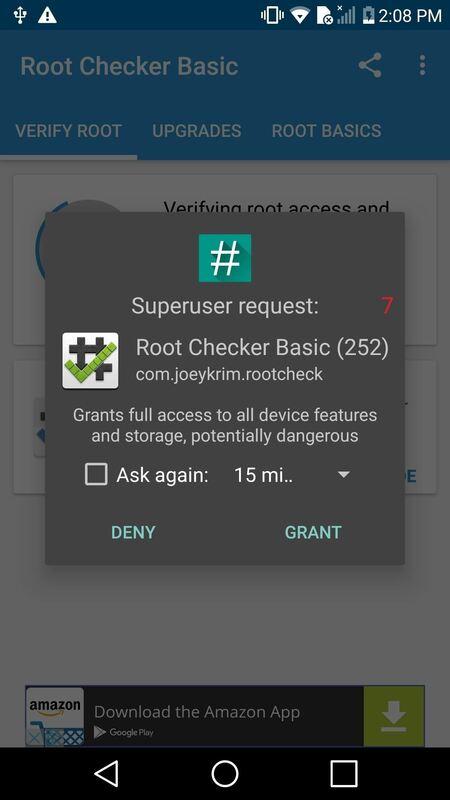 From there, just open the app, then tap "Verify root" and press "Grant" on the Superuser access request. If everything went off without a hitch, you'll see a message saying "Congratulations! Root access is properly installed on this device!" I have an ATT LG V20, if I root my phone, will I lose the ATT specific Wi-Fi calling? It's kind of important to me, that's why I ask.